Face to Face with Nature - an Exhibition of the Photographic Works of Yukio Tabuchi | If you love photography, why not visit FUJIFILM SQUARE — photo exhibitions in Roppongi, Tokyo. The Photo History Museum at FUJIFILM SQUARE is pleased to announce a two-part exhibition of photographs in new prints by the renowned nature photographer Yukio Tabuchi (1905-1989). An avid mountain photographer, Tabuchi had a special affection for the Azumino region of Nagano Prefecture and Japan's Northern Alps. He was also a passionate naturalist, and the first part of the exhibition, entitled “Face to Face with Nature - a friend who loved the mountains” features a collection of photographs of both mountains and his entomological works. 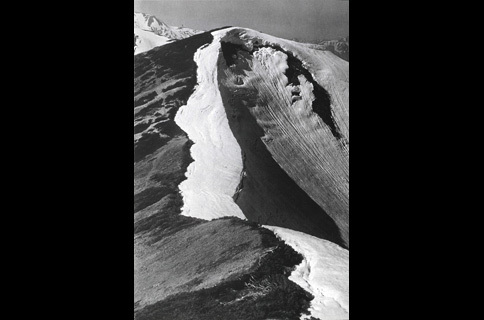 The second part, entitled "Face to Face with Nature - a dialogue with the mountains," consists of mountain photography with a particular emphasis on Tabuchi’s beloved Northern Alps. Yukio Tabuchi (1905-1989) is renowned in Japan not only as a mountain photographer, but as a leading expert in alpine butterflies, and was one of Japan’s first recognized naturalists. After moving to Azumino, he fell in love with the surrounding area and began to capture the insect and plant life and the beauty of Azumino and the Northern Alps in photographs. The exhibition includes works from original photographic plates and negatives through to new prints created with the very latest technologies. Yukio Tabuchi was born in Tottori Prefecture and was evacuated to Azumino in Nagano Prefecture during the final stages of World War II in 1945. 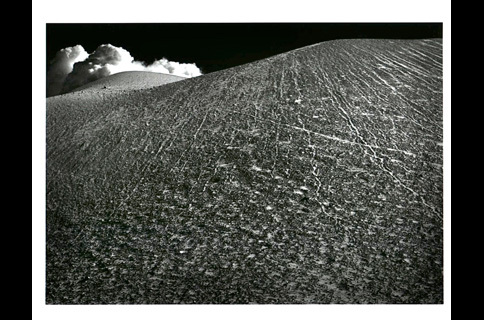 In 1951, the Asahi Shimbun newspaper published his debut work, A Collection of Mountain Photographs by Yukio Tabuchi. He went on to publish 36 more photographic collections until his death in 1989. Tabuchi dedicated his life to capturing the majesty of Japan’s Northern Alps and the stunning greenery of the fields that surround Azumino in photographs and to studying the entomology of the region, becoming a leading expert in native species of alpine butterflies. He was the recipient of several awards including the Association of Japanese Photographic Critics' Prize, a special award for services to natural conservation, and an award for services to photography from the Photographic Society of Japan. He was bestowed honorary citizenship by Azumino City.